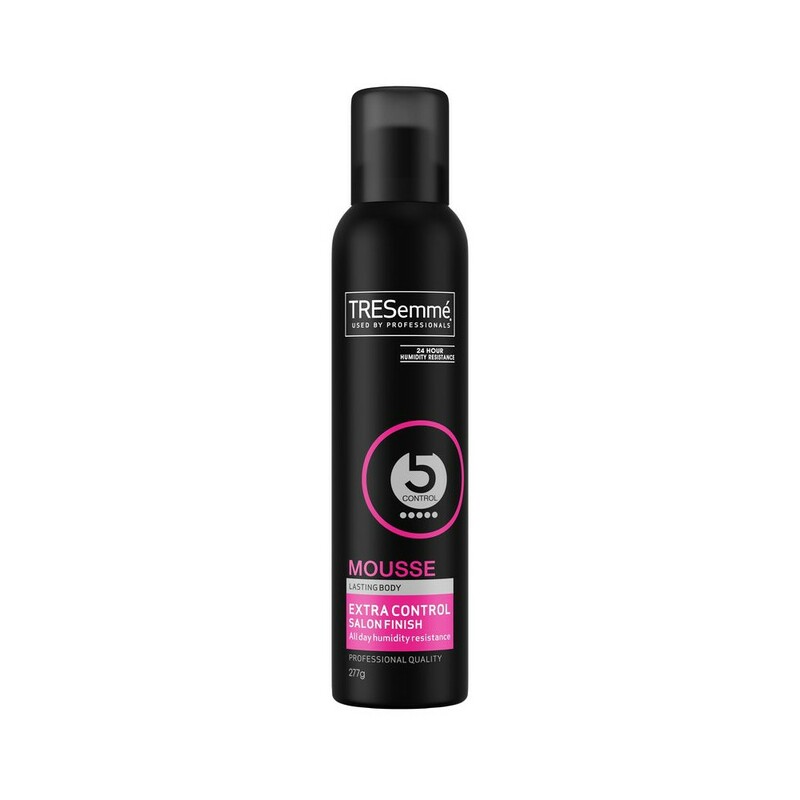 TRESemmé Salon Finish Extra Control Mousse is light enough for easy application and strong enough to build fullness. Plus holding isopolymers expertly iron out stray hairs and the alcohol-free formulation never overdries. TRESemme Salon Finish Extra Control Mousse delivers maximum hold control, without stiffness or stickiness. Light enough for easy application and strong enough to build fullness. TRESemmé understands how great hair gives you the confidence to walk taller every day. Delivering that feeling has driven TRESemmé since Edna L. Emme founded the brand in 1948. She embodied this confidence; the perfect role model for inspiring modern women today. Intelligent and beautiful, Edna was a rule breaker and entrepreneur, a powerful package who was admired for her beauty but remembered her for her intelligence and tenacity. She was also a trailblazer for women in the workplace. Rising from the machine floor to the boardroom, she became vice-president of the Godfroy Manufacturing Company. From their origins in salons, TRESemmé have always been driven by a simple truth; every woman deserves to look fabulous without spending a fortune. TRESemmé is dedicated to creating hair care and styling products that are salon quality without the salon price. Salon inspired, stylist tested products to help you create your own style and experience that salon feeling every day. TRESemmé still promotes the values that defined our inspirational founder: independence, self-reliance, and most importantly, the confidence you need to step up and meet the next challenge. Because no one understood the power of hair to boost your confidence like Edna did, which is why TRESemmé believe in empowering modern women everywhere to walk tall today. For body and control, shake can and dispense 2-3 egg-sized dollops on damp hair (you need more than you think). To fully coat strands, dispense the mousse directly on a vented brush. Then, run the brush from roots to ends to detangle and fully distribute the mousse. Mousse helps with volume and body, but if you need extra hold and protection against humidity, finish by misting TRESemmé Extra Hold Hairspray on dry hair to set. Aqua (Water, Eau), Alcohol Denat., Butane, Isobutane, Propane, Acrylates Copolymer, Peg-12 Dimethicone, Vp/Va Copolymer, Vinyl Caprolactam/Vp/Dimethylaminoethyl Methacrylate Copolymer, Propylene Glycol, Amodimethicone, Aminomethyl Propanol, Parfum (Fragrance), Polyquaternium-4, Trideceth-9, Peg-40 Hydrogenated Castor Oil, Panthenol Benzophenone-4, Hydroxyethyl Cetyldimonium Phosphate, Ceteareth-25, Trideceth-12, Cetrimonium Chloride, Linalool, Tocopheryl Acetate, Limonene, Butylphenyl Methylpropanol, Amyl Cinnamal, Hexyl Cinnamal, Citronellol, Geraniol.